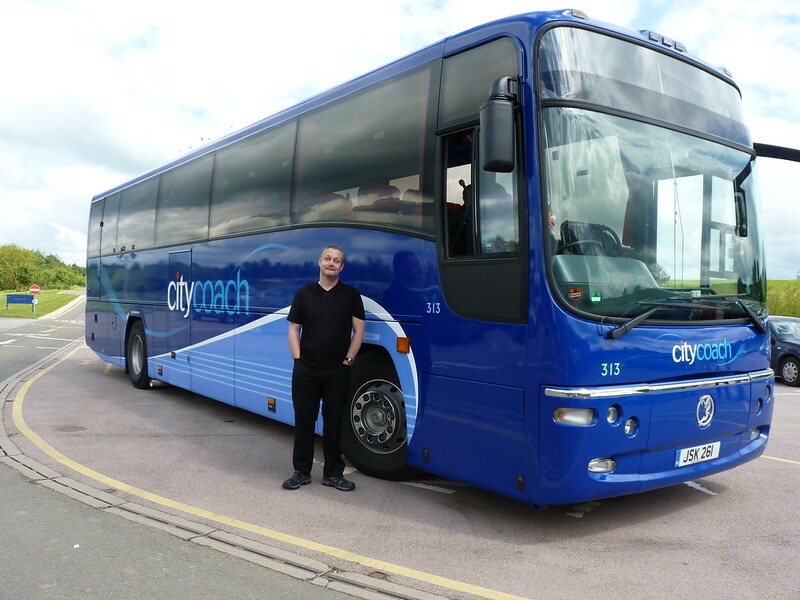 As promised I bring you a brief report on my Silverstone Grand Prix trip which I won in the Plymouth Citycoach Facebook draw. I have to say that the museum comes under the worthy but dull category as far as we were concerned. There are some fantastic cars there and I took loads of pictures but after about an hour or so we had seen everything and there was little left to do. The place felt very corporate and was clearly geared up for conferences more than anything else. The cafe was incredibly expensive so that ruled out a slow cup of coffee to while away another half hour or so. We did go for a ride on a brand new RangeRover on the off road course which was twenty minutes but felt like a lot quicker as it was great fun. We were not the only ones who felt that we had too much time there so the driver tried to round us all up onto the coach an hour earlier than the planned departure and we were all keen to get going again onto the hotel in Hatfield. 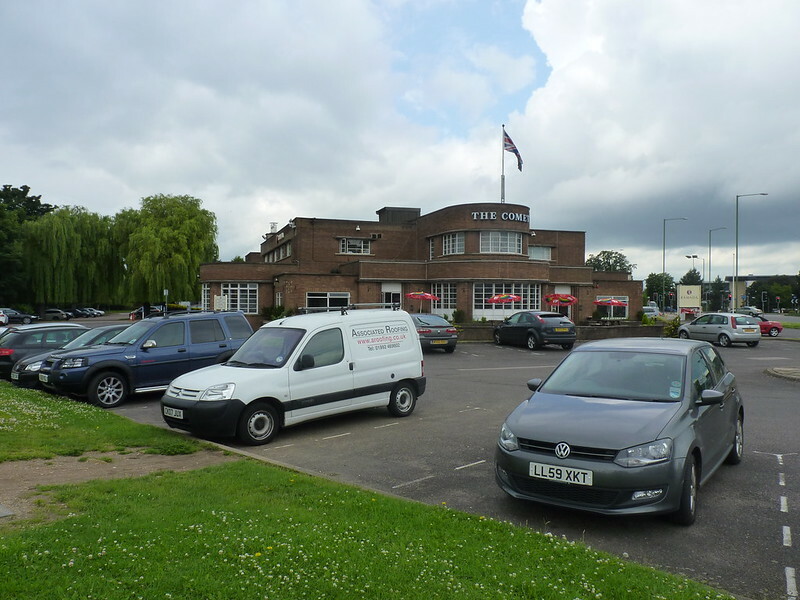 The Comet hotel was in the centre of Hatfield. It was clean and tidy and the staff were very friendly It has to be said that the food was adequate rather than brilliant. It was hot though which isnt always the case in hotels. There was not a lot of choice on the menu and the vegetarian option was lasagne on both Thursday and Friday! The breakfast though was fine, a nice decent full English along with all the other options meant you could fill up at the start of the day. 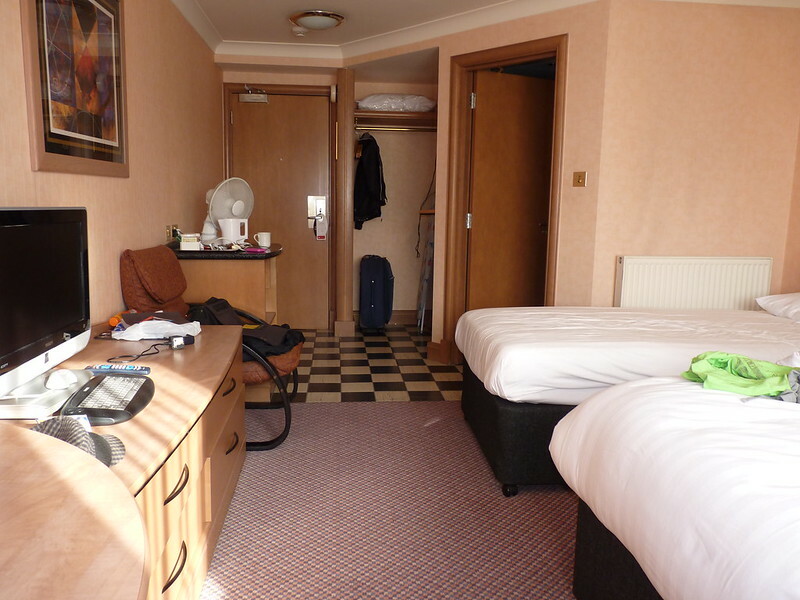 The room was surprisingly big with both a double bed and a single bed. I have never found a hotel bed anywhere near as comfortable as mine at home and these were no different! Early Friday morning and we set off for Silverstone only to be sat in heavy traffic on the A40 for ages not getting into Silverstone until gone 11am. This was all down to the extremely wet weather which turned the car parks and camp sites into mud baths as was reported on the national news all weekend. It pretty much rained all day. We were able to get some cover for the practice sessions but eve then were getting wet from the rain being blown in under the grandstands. I managed to get a few photos but nothing like as many as I hoped. One thing we did find funny was that by pure chance I ended up sitting next to my colleague from work who sits at the desk next to mine! 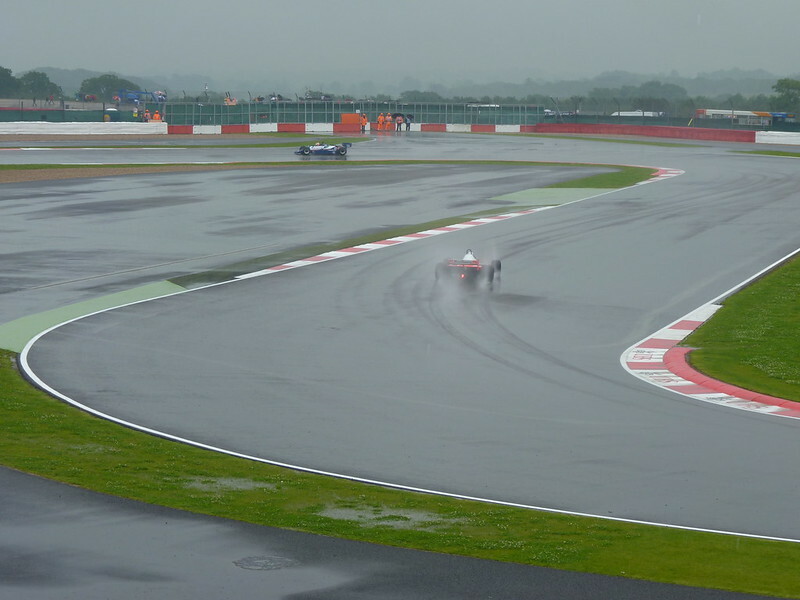 I think thats Alonso somewhere under all that spray! Thanks for all the comments over the last day or so about your thoughts on the proposed changes to routes which were featured in the local press this weekend. I will be going through these over the coming week so please keep your thoughts coming in the comments as I will be using them! 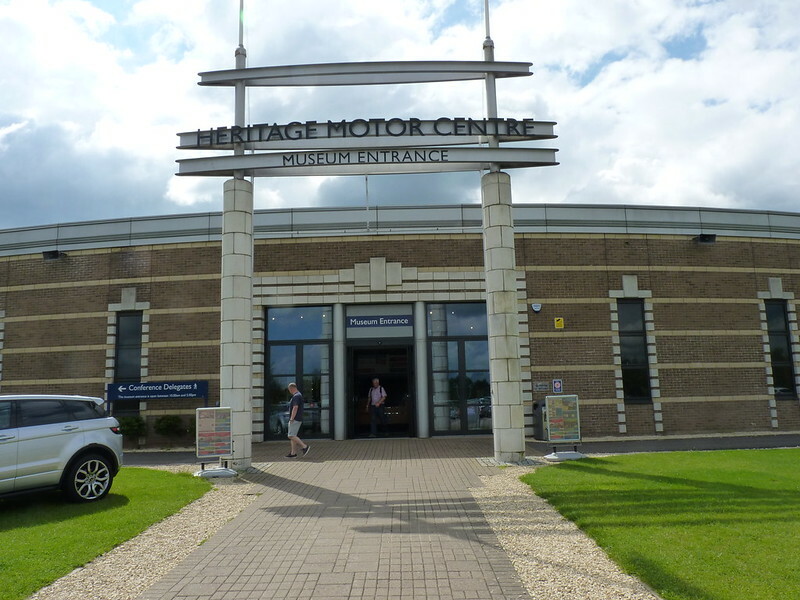 I've only been to Gaydon motor museum once and I have to say I spend more than 3.5 hours there. It was fascinating to see our motor heritage before our eyes, especially those prototypes that never actually made it into production. Plenty to see and read about. For those who were on your trip who liked motor racing, I'm surprised people got bored! Perhaps I am being a bit unfair, not being a true car enthusiast. I enjoy the races rather than the cars! You cant fault the actual collection as there are some stunning motors there, I just wish there could be a bit more to do.